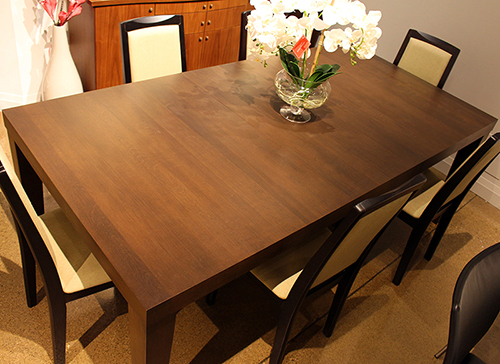 Everest Solid Wood Dining Table with 2 Extension Leafs By Dinec Canada. Shown in Wire-Brushed Finish on Birch. 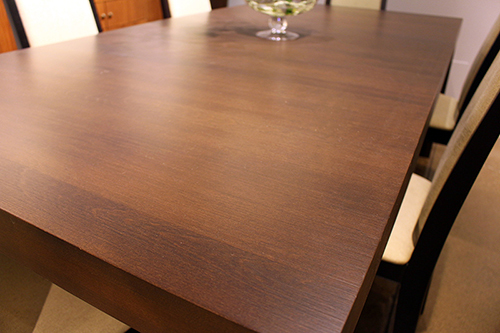 Extendable table – Made of Solid Birch with 3″ Edge and 4 legs Plus the middle leg for extra support and stability. 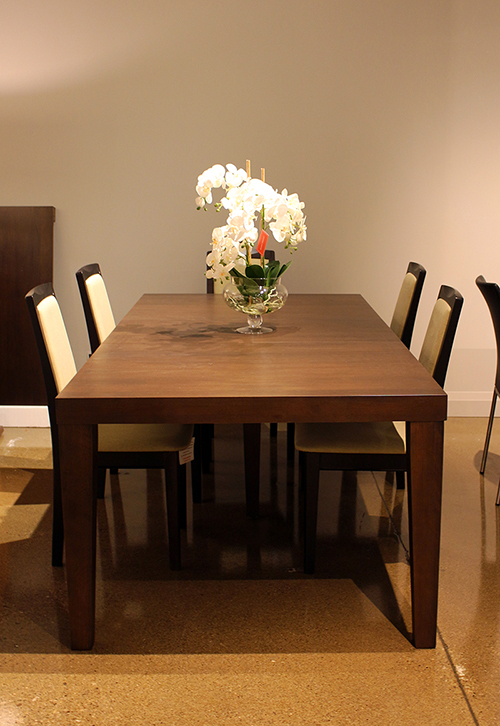 Table comes with self storage for one leaf and an extra leaf to extend the table further. Dimensions: 64″W X 42″D X 30″H with 20″ extension each makes the table 84″ with 1 leaf inserted, and 104″ long when fully extended.